Here's why it came up short. Again. It is brute American performance paired with a six-speed manual. 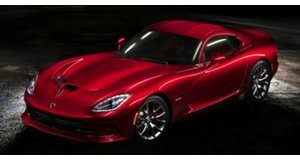 That’s the Dodge Viper, in a nutshell. And sadly, the Viper is on its way out. Perhaps that’s what drove this private initiative, meaning no factory involvement, for the Dodge Viper ACR to set a Nurburgring Lap record. We already reported about its initial attempt, and, more recently, when it broke that previous run. But the crowdfunded effort wasn’t about to give up just yet, so it took another shot at taking down the current record holder, the Lamborghini Huracan Performante. Road and Track has learned that brothers and pro racers, Dominic and Mario Farnbacher, took the wheel of the big snake for its latest attempt. The latest time? 7:03.23. Its previous best attempt was nearly identical, but still slightly slower: 7:03.45. 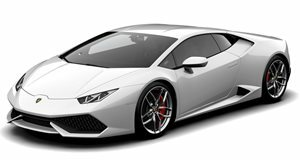 The Huracan Performante, however, owns the ‘Ring with its 6:52.01 lap time. So why did the Viper ACR came up short again? Hot weather. More specifically, a hot track. The outdoor heat and all-day sun resulted in a track surface temperature of 111 degrees, which isn’t good for the tires. “We tortured those tires,” stated one of the event organizers. “There’s no other way to describe it. “What we did, driving those tires at those temperatures for so long, it’s just not been done before on the Kumhos.” Two attempts were made last Friday – and a total of 16 tires were destroyed in only two hours. Granted there were two Viper ACRs used, but neither could get the job done. But it ain’t over yet. Another organizer, Bernie Katz, co-founder of Viper Exchange, acknowledged the hot weather track/tire affect, and believes sometime this week they’ll take another crack at being the Lamborghini. We’ll see.